Tom Currigan is Senior Director of Stakeholder Relations for Kaiser Permanente’s Colorado region. Prior to his current role, he was Senior Director of Community and Local Government Relations, where he led Kaiser Permanente’s community benefit, community relations and local government relations functions. Mr. Currigan joined Kaiser Permanente in 1995. Prior to coming to Kaiser Permanente, he was the Director of External Affairs for Public Service Company of Colorado after serving as their Director of Program Operations. His responsibilities included community relations, employee communications, corporate social responsibility and issues management. In his current position, Mr. Currigan leads the region’s stakeholder relations efforts, which includes developing and coordinating stakeholder outreach across all community sectors and developing strategies to help the organization maximize the value of its engagement with and in the communities it serves. Mr. Currigan serves as a volunteer for several nonprofit organizations. He is a past-chair of the American Heart Association’s (AHA) 10-state Pacific-Mountain Affiliate board after serving as their Denver Metro board chair. He currently serves on AHA’s national volunteer oversight group. He is the immediate past president of the Samaritan Institute national board of directors and is a past president of the American Lung Association of Colorado board of directors. In addition, Mr. Currigan currently serves on the boards of the Colorado Physician Health Program, the YMCA of Metro Denver (chair-elect), the Urban League of Metro Denver, the Metro Denver Economic Development Corporation, the Jefferson Economic Council and LiveWell Colorado, where he is a founding board member. He serves on the health care committee of The Denver Foundation and he is chair-elect of the Aurora Economic Development Council. He is the past-chair of the American Diabetes Association’s Advocacy Committee. 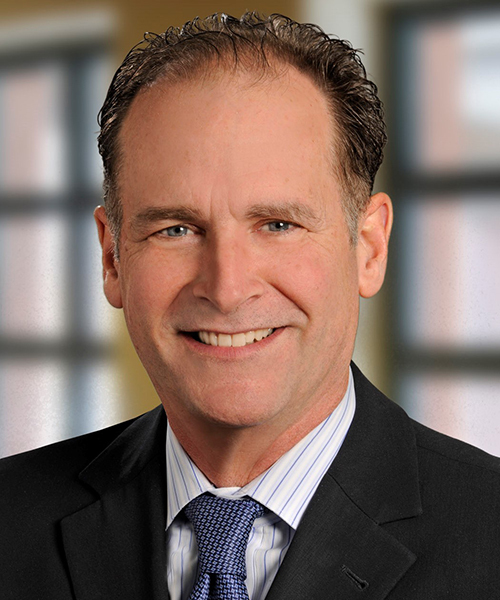 Mr. Currigan previously served on the boards of the Colorado Association of Funders, the American Diabetes Association, the Colorado Council on Economic Education, the Uptown Partnership and the Colorado Ethics in Business Association. He has served in various volunteer roles for the Denver Museum of Nature and Science, the Denver Art Museum, the Colorado Association of Nonprofit Organizations and the Colorado Business Committee for the Arts. Bo Martinez is the Economic Development Director for the City and County of Broomfield. Mr. Martinez works to establish and leverage existing networks and partnerships with the public and private sectors, greater engagement with prospective and existing businesses, sustain and increase employment, stimulate private investment, and revitalization to solidify and grow Broomfield’s economic base now and for the future. Mr. Martinez is a Colorado native who brings more than 20 years of experience in community and economic development, planning, transportation, housing, redevelopment, program development, and partnerships with the public and private sectors. Mr. Martinez has more than eight years’ experience from the City and County of Denver where he served as an Economic Development Administrator. While there, he directed Denver’s Neighborhood Marketplace Initiative, managed Business Services programs including business attraction, business retention and expansion, retail development, general fund and community development block grant budgets, and managed commercial revitalization and public infrastructure development projects. Mr. Martinez was previously the Economic Development Manager for the City of Phoenix, Community and Economic Development Department, owned and operated a small business and was an Executive Director for a non-profit neighborhood development organization. He earned a Bachelor of Arts degree in History and a Master’s degree in Urban and Regional Planning, both from the University of Colorado. Ann King White has been with BKD for more than 29 years. BKD, LLP is one of the 10 largest CPA and advisory firms in the U.S. Ms. White assists health care clients including hospitals, physician groups, rural health clinics, rehabilitation agencies, nursing homes, mental health centers and home health agencies, and is actively involved in all aspects of health care services including accounting and auditing, practice management, third-party reimbursement, management systems and other financial management services. Ms. White is the past president of the Colorado chapter of the Healthcare Financial Management Association and is active in the Colorado Hospital Association. She serves as treasurer for the Colorado Center for Hospice and Palliative Care and was appointed to the Colorado Hospital Provider Fee Oversight and Advisory Committee. She is also a member of the American Institute of Certified Public Accountants and the Colorado Society of Certified Public ccountants. Ms. White graduated from Missouri State University, Springfield, with a B.S. degree in accounting. Ken was President and CEO of Rose Medical Center, an HCA and HealthONE affiliated hospital, for 21 years. His healthcare experience spans more than 35 years. He holds a master’s degree in Health Care Administration and a graduate degree in Psychology. Ken’s extensive experience in the continuum of healthcare delivery has made him an astute forward thinker, known for understanding critical business drivers, seizing opportunities, and building alliances. A visionary executive, Ken is deeply committed to creating learning environments where top performance is achieved through staff empowerment. Ken relentlessly pursues excellence while upholding personal and organizational values, role modeling leadership, building trusting relationships, and optimizing efficiency and productivity. Barbara Barnes Grogan was appointed to the Metropolitan State University of Denver Board of Trustees in 2015. She serves on the Finance Committee. Barbara is the founder of Western Industrial Contractors Inc. and was their CEO for 22 years. She grew the company from its inception to become a highly respected and successful firm working in all 50 states and over 300 airports for clients such as IBM, Coors, GE, Manville, Lockheed, the U.S. Postal Service, United Airlines and the TSA. During her career, Barbara also served on the Board of Directors of three New York Stock Exchange companies, and was the chair of the Federal Reserve of Kansas City – Denver Branch and the Denver Chamber of Commerce. She also served on the Board of Directors of the U.S. Chamber of Commerce. 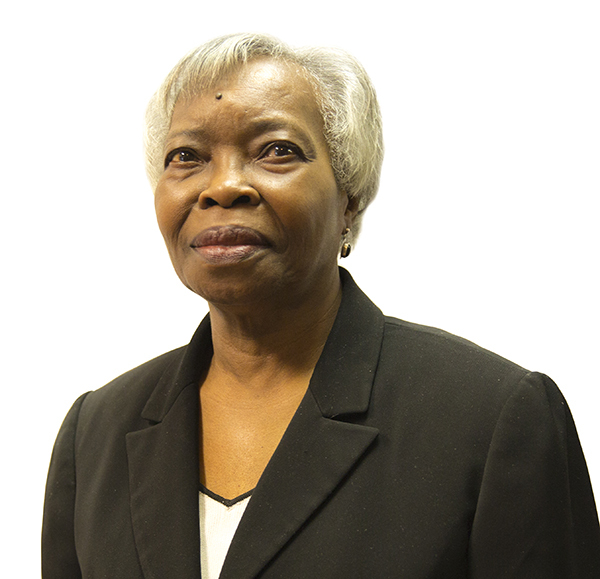 Throughout her career and since her retirement, Barbara has been deeply involved in the community focusing primarily on children and their families with an emphasis on education – early childhood, K-12, and higher education. She works on public policy for education at a national level as a Trustee for the Committee for Economic Development and state level as the co-chair of Colorado’s Early Childhood Leadership Commission and as a member of Colorado’s Education Leadership Council. Barbara is involved in many non-profits in our community serving the needs of the most vulnerable citizens, such as Volunteers of America. One of her current passions is immigration reform and the support of our Asset students to prepare for, attend, and successfully graduate from our great institutions of higher education. Barbara has received Leadership Denver’s Distinguished Alumni Award, the United Methodist Church Human Relations Award, and the University of Colorado School of Business’ Distinguished Leader Award. She was selected as the 2012 Outstanding Philanthropist of the year by The Colorado Nonprofit Association and was recently honored by National Volunteers of America and Mile High United Way. 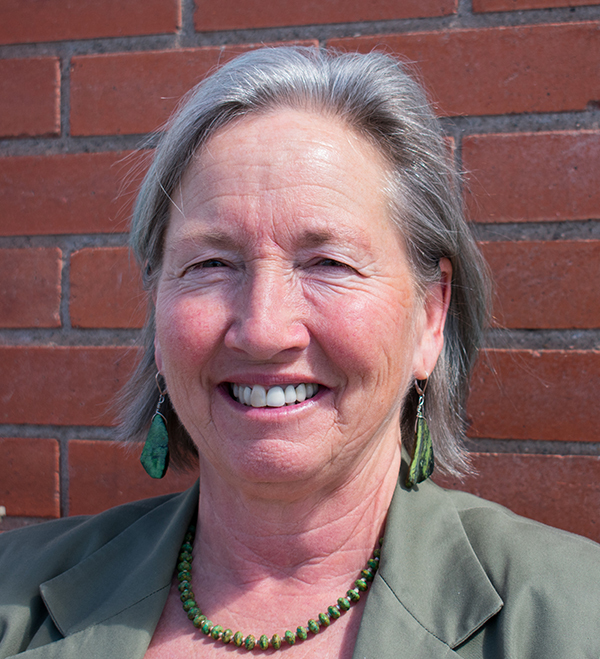 Liza is the founding director of the San Luis Valley Local Foods Coalition in rural southern Colorado, an organization that works to foster an equitable local food system to restore the health of the people, community, economy, and ecosystem. She has been a community organizer with a focus on social justice, wellness, and prevention for many years and is an avid home gardener. From 2007 to 2013, Liza served as the coordinator of the LiveWell Alamosa’s healthy eating active living initiative, seated at Valley Wide Health Systems, Inc. She worked with local partners to sustain the LiveWell Colorado investment in the San Luis Valley, and to maintain HEAL momentum through the San Luis Valley Local Foods Coalition. Liza has a master’s degree in Community Counseling and a bachelor’s degree in Spanish. Her skills include grant writing, governmental relations, visioning and strategic planning, non-profit management, financial management, coalition building, and economic development. Stella retired January 2017 after a career of 39 years and one month with the United States Department of Agriculture (USDA), Food and Nutrition Service, Mountain Plains Regional Office. She served as the Regional Nutrition Director for the Mountain Plains Regional Office from 1990 – 2017. Stella is a Registered Dietitian, having completed her Dietetic Internship at Cook County Hospital in Chicago, her undergraduate degree from the University of Arkansas-Pine Bluff, and a master’s degree in Nutrition Education from New York University. In addition, she spent one year at Penn State University studying Rural Sociology. Prior to joining USDA, Stella worked with Colorado State University – Cooperative Extension Service, Arkansas State Dept. of Education, and as both a Clinical and Administrative Dietitian at Kings County- Hospital/Downstate Medical Center in Brooklyn, and NYU Medical Center. She has received the Rocky Mountain Eagle Award for Outstanding Customer Service from the Colorado Federal Executive Board, and the Colorado Outstanding Dietitian of the year award. Andrew Ritz is the Chief Accounting and Compliance Officer for The Colorado Health Foundation. In this role, he is responsible for accounting, financial reporting, budgeting, tax compliance and risk management. He has also participated in cross-functional integration activities of the Foundation’s key business processes including leading a cash flow cross-functional work group. Prior to joining The Colorado Health Foundation, Mr. Ritz held a number of positions within the HealthONE hospital system including Controller and Director of Finance. In these roles he directed accounting, financial reporting and budgeting activities for St. Luke’s, Presbyterian/St. Luke’s and Presbyterian Aurora Hospitals. He also served as Controller for the Presbyterian/St. Luke’s Community Foundation. Mr. Ritz is a CPA and holds a bachelor of sciences degree in accounting from Colorado State University in Fort Collins. Rosemary Rodriguez serves as the director of Senator Michael Bennet’s Colorado office. In addition to her Senate responsibilities, she represents Southwest Denver on the Denver Public Schools Board of Education (2013-2017). Ms. Rodriguez comes to Senator Bennet’s staff after two years on the US Election Assistance Commission where she served as its chair in 2008. She was appointed to the EAC by President George W. Bush and was unanimously confirmed by the US Senate. Prior to the EAC, she served for three years on the Denver, Colorado City Council, where she served as its president from 2005 to 2006. She served in the mayor’s office from 1992 to 2003 in a variety of positions, including clerk and recorder for the City and County of Denver from 1997 to 2002. In 2013, Rosemary was elected to the Denver School Board to represent District 2 for a four year term. Rosemary has been active in numerous grass roots civic and voter advocacy organizations at the local, state and national level.